Here rain doesn’t announce itself. It just drops on by. An interesting thing about some storms in Australia is that you never quite know what you’ll get until it hits. A few days back the weather was an intense mix of shimmying cloud, and hot air that was carried on top of a soft cold breeze. This disagreeing mixture of heat and coldness are rare. They are quite often, however, tell tale signs of sure things to come. 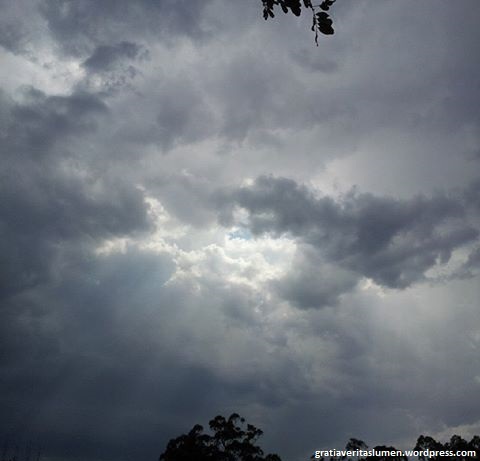 We didn’t experience this storm cell, which battered Sydney by surprise last night. Although, we are getting the wind and colder-than-spring temperatures that went with it. We’re thankful for those clouds that fill dams, and the water that brings dry earth to life.